The Pebble smartwatch since receiving kickstarter funding has become quite a hit, to a point where it is arguably the most popular smartwatch on the market, even trumping Samsung’s Galaxy Gear offerings. 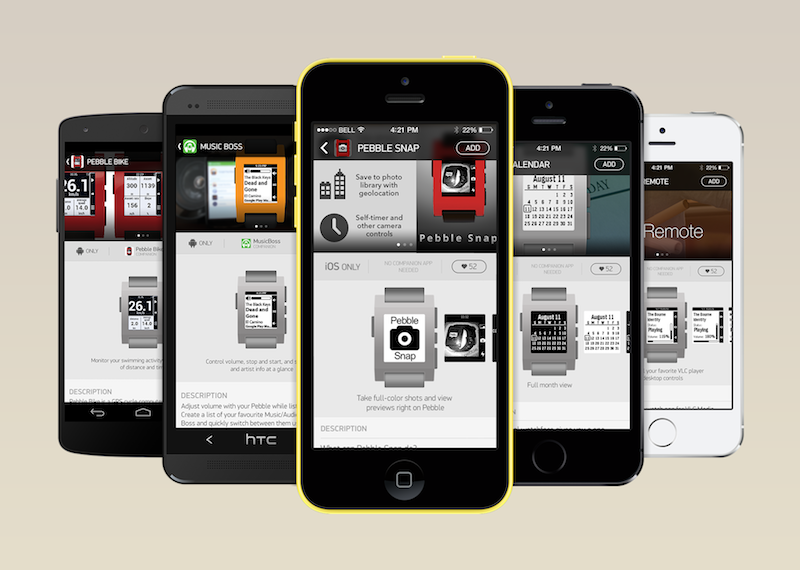 Back in December, Pebble announced that it would be launching its own App Store, and it will be the first of its kind. When it launches in early 2014, the Pebble appstore will be a first-of-its-kind wearable tech application directory—giving Pebble users a one-stop-shop for searching, browsing, and installing Pebble watch faces and apps directly from the iOS or Android Pebble smartphone app. The great news is that today Pebble launched their dedicated App Store, which can be accessed via the official Pebble iOS App, and it features over 1000 Apps and watch faces that can be installed on their lineup of smartwatches. Apps are divided into six categories: Daily, Tools & Utilities, Notifications, Remotes, Fitness, and Games. Once the iOS App is downloaded onto an iOS device, you can actually access the new Store through the smartwatch itself. As well as this, the installed Apps can also be managed, but it’s worth mentioning that currently the smartwatch is only able to hold up to 8 Apps at a time, but Pebble has developed an App Locker solution to allow Apps to be quickly and easily installed and uninstalled to make that limit seem not as limiting. The Pebble App is available in the iTunes Store for free and of course if you were on the fence about purchasing a smartwatch and this announcement has swayed you, then you can grab the latest model directly from the Pebble Website.